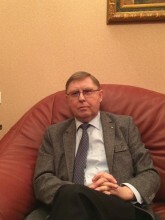 Cherdakov Oleg Ivanovich, vice rector for scientific and innovative work of the International legal institute, candidate of historical sciences, doctor of jurisprudence, professor. Hodusov Alexey Aleksandrovich, head of the department of criminal and legal disciplines of the International legal institute, Candidate of Law Sciences, associate professor. Government and business, latest issue of legal support for business activities; legal protection of business, the protection of the rights of taxpayers. Scientific articles, expert opinions, analytical generalizations, bills and analysis, projects and existing legal documents, compilation practices of state and local government, excerpts from monographs, reviews of scientific publications, book reviews, debates on current issues in legal practice, materials of jurisprudence.